Every now and again I fancy a change with my hair. 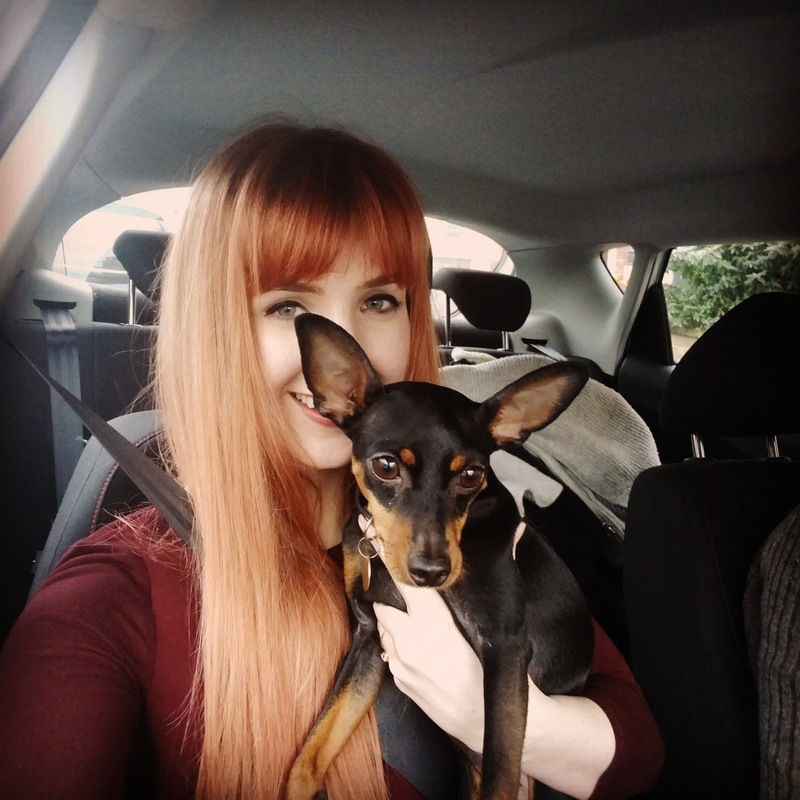 I've dyed it lots of different colours with wash-in, wash-out dyes but I fancied something a little longer-lasting about 6 weeks ago. 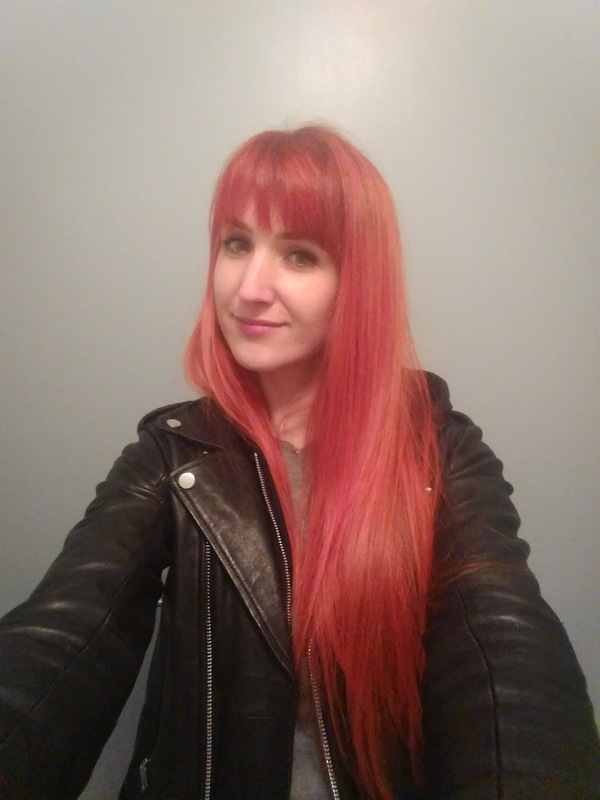 My close friend/hairdresser Jen did some research and recommended Wella Color Fresh - a "true semi" meaning it really did fully wash out. She got it from a trade store, but it looks like you can get it online. I wanted to go ginger, so we used 7/44, a "medium intensive red blonde" on my highlighted, dark blonde hair. Little mermaid hair! 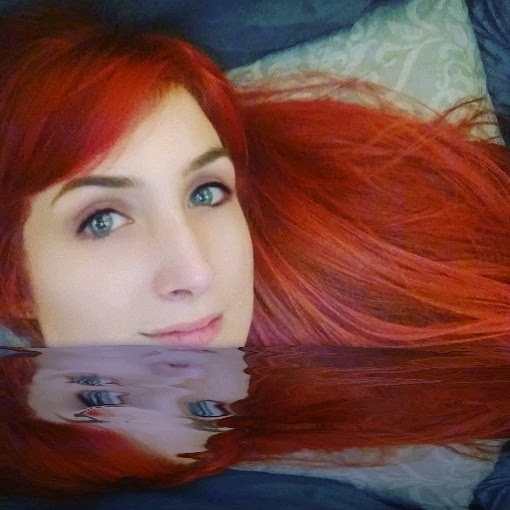 I love that this snapchat filter came out on the day I had little mermaid hair so I could fully pose. 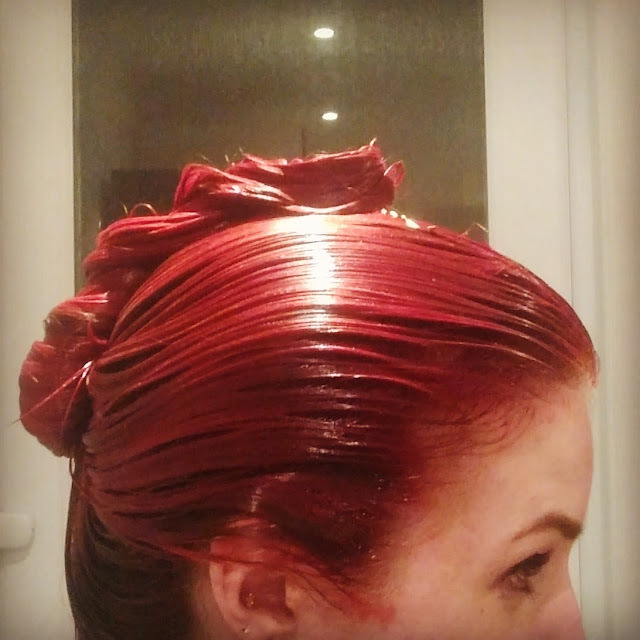 Day 1: My hair was very red! I loved it and it got lots of compliments and attention! After one wash it was much less bright! 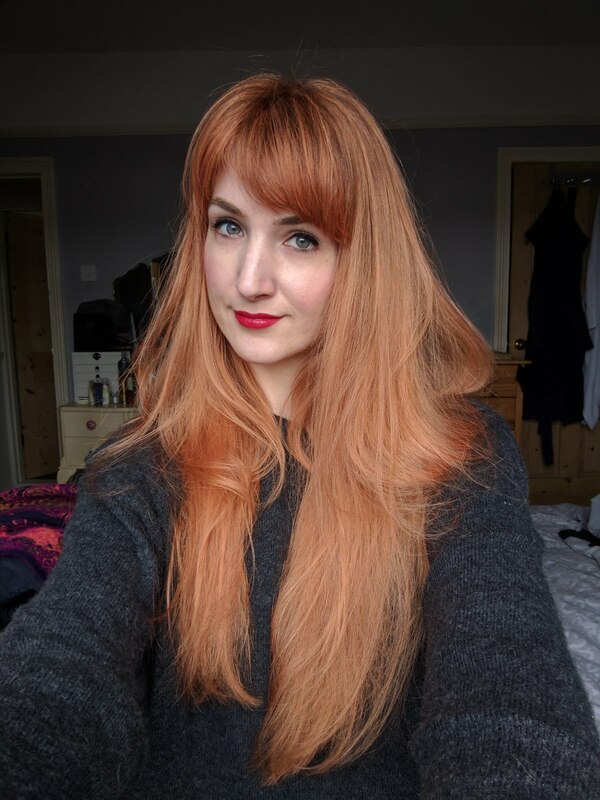 and after two washes it was the perfect, natural ginger which I wanted to achieve! At this point it was more pink than I wanted, so I layered on some Superdrug Colour Effects dye in rich red (See my review here) to help it continue fading more ginger. After a few weeks, it was entirely gone! It stuck a little longer around my roots compared to the ends, because I have more bleach there. However it came out the bleach entirely, and was helped along by a little Head and Shoulders at the end stages. If you look at recent blog posts you'll see it's gone. I do have quite "warm" hair (I think that's hairdresser term for a bit strawberry) so I wasn't sure it wad washed out, but when I put my blonde hair extensions in, they blend in just as well as before. Overall, for around £7.80, it was great fun! I also have another application's worth in the bottle.